Polyphenolic compounds are widely distributed in higher plants and are an integral part of the human diet. Recent interest in these substances has been stimulated by their potential health benefits, which are believed to arise mainly from their antioxidant activity. Polyphenolic compounds are widely distributed in higher plants and are an integral part of the human diet. Recent interest in these substances has been stimulated by their potential health benefits, which are believed to arise mainly from their antioxidant activity. In the past years, the antioxidant activity of flavonoids has been studied in detail. 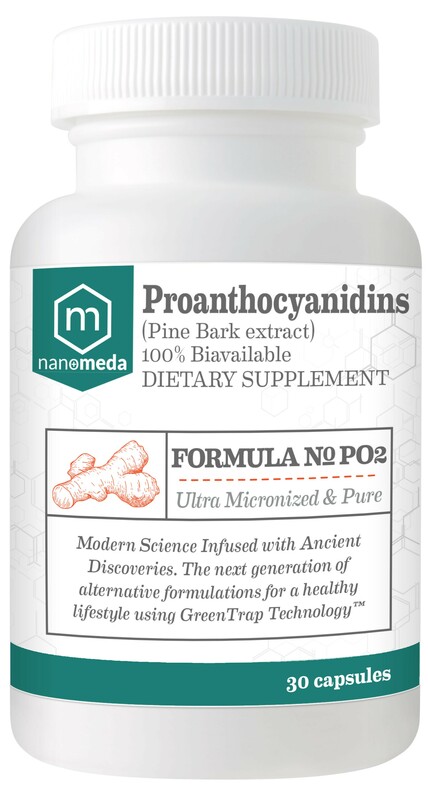 An important but often overlooked group of polyphenols is that of the proanthocyanidins. Therefore, the present review is focused mainly on the antioxidant activity of proanthocyanidins and its relevancy in vivo. The three most important mechanisms of their antioxidant action will be discussed, i.e. free radical scavenging activity, chelation of transition metals, and inhibition of enzymes. In addition, the protective role of proanthocyanidins against lipid peroxidation and peroxynitrite, as well as their antimicrobial properties will be discussed. To study the in vivo relevancy of the proanthocyanidin activities, the knowledge of their pharmacokinetic parameters is crucial. Although bioavailability and metabolism data on polyphenols in general and proanthocyanidins in particular are still largely unavailable, the first reports indicate that at least monomers and smaller oligomeric procyanidins are absorbed. There is also considerable scientific and public interest in the important role that antioxidants may play in health care, e.g. by acting as cancer chemopreventive and anti-inflammatory agents and by reducing risk of cardiovascular mortality. Each of these aspects will be discussed, with special attention to the role of proanthocyanidins on apoptosis, gene expression and transcription factors, such as NF-kappa B. © 2017 Nano Meda. All Rights Reserved.